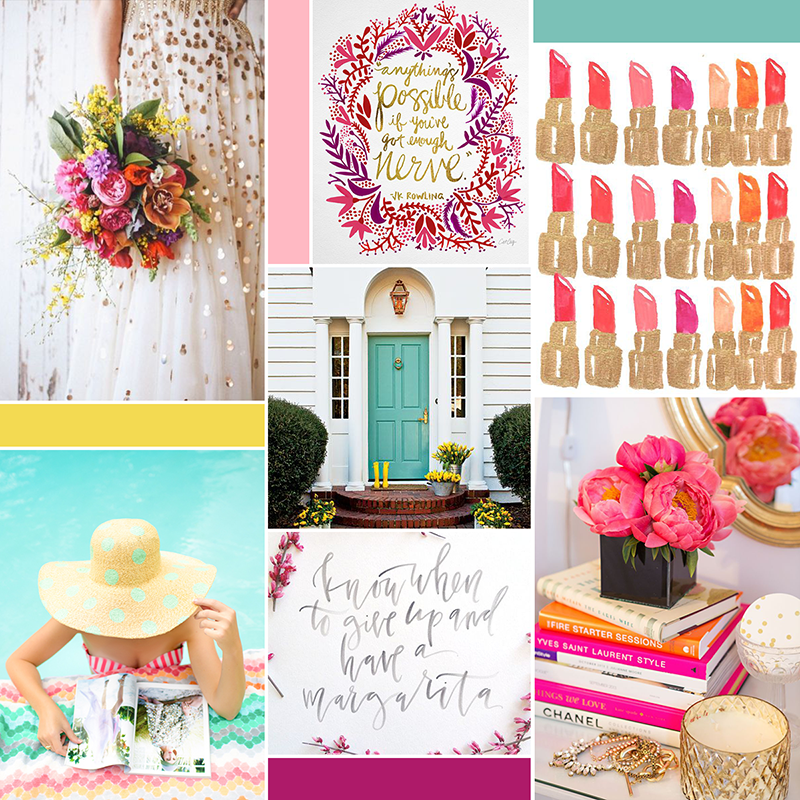 I’m really excited about this one, you guys- I think this is the brightest + girliest moodboard I’ve ever done. Looking at it kinda puts a little pep in my step, you know what I mean? This moodboard is the first step in a blog design for a photographer who wanted a look that was fun but sophisticated, with feminine pops of color . She was actually one of my very first blog friends, and working with friends-turned-clients always makes me very happy. Can’t wait to dive into the rest of this fun project! Cute!! Instantly brings me back to summertime. This is SO fun! I think just looking at it puts a pep in my step too! I can’t wait to see the results! This is so cute and fun! Totally brings out the girly girl part of me.